Remember when a trillion dollars was so large as to be mostly theoretical? If these figures are true this is really astounding! 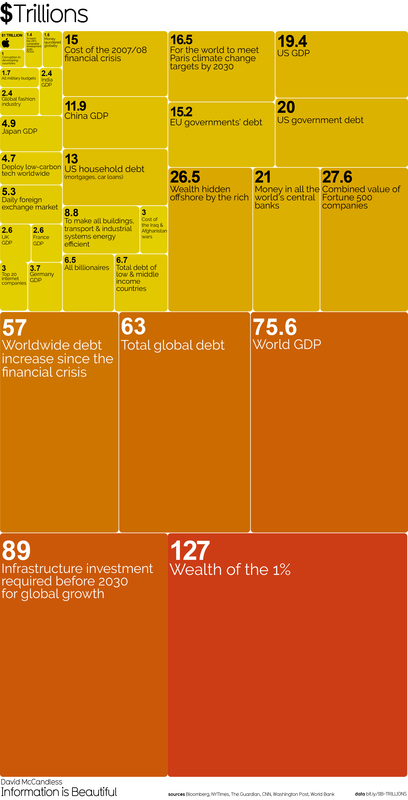 The wealth of the 1% truly being $127 Trillion and the biggest number of them all (and almost 6 times the size of the combined value of all the Fortune 500 companies and double the size of Global debt)? As you and Chris say, the paper claims on wealth now FAR exceed the real primary wealth...something has to give to get into some type of balance...seems like the time to transfer into primary wealth is now.